When a water heater is not working it is helpful to not only know what the problem is but also what type of water heater you have, the name brand of the water heater and the model number. 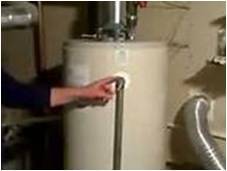 Locating the model number on a water heater can be a challenge if you do not know what you are looking for. Below are a couple of examples of where to locate your model number. Low Hot Water Pressure – The first thing to check is if the low hot water pressure is at one fixture or at all the fixtures serviced by the water heater. If just one fixture is receiving low water pressure it is likely a problem with that fixture not the water heater. If multiple fixtures are receiving low water pressure there could be sediment blocking a line or a valve may not be open all the way. 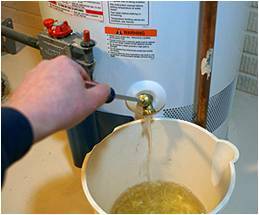 Water has Bad Odor – If water heater is electric the anode rod may need to be replaced. If the water heater is gas than the tank may need flushed. Discolored Water – Usually caused by rust and sediment. Tank needs to be flushed. Drain Valve Leaking – This is usually located at the bottom front of the water heater (see picture). If water is coming from this valve, it can often be repaired depending on the age and quality of the water heater. T&P Valve Leaking – This is usually located on the side of the water heater (see picture) and can often be repaired or replaced depending on the age and quality of the water heater. Water Heater Leaking – If the actual water heater is leaking there will be water under or around the bottom of the tank. This most always means it is time to replace the water heater. There is no way to repair a cracked tank.